Book Winner and The Book I REALLY Need To Read! The lucky winner of Joanne Fluke’s “Lake Eden Cookbook” is Adopting James! Congratulations and if you can email me where you would like this sent I will take it to Fed-Ex Friday, and let you know it is on the way. And the reason I need to read the book shown below is because I did not realize that if I was not using wordpress.org I could not communicate via email through wordpress.com. So, I apologize for my error there and if you could send the information to cyclerider321@yahoo.com, I will send you the book. This is MY email address that I opened this summer to sell my motorcycle on Craigslist. Yes, I rode a motorcycle 🙂 It was pretty too! If you are not comfortable doing this, leave a comment here, I completely understand, and as soon as I flip my 2 blogs over to wordpress.org, which will be soon, you can communicate with me that way and feel more secure. I will hold the book for you. Sooooo, the book I should have read 4 months ago when it showed up at my door? I need to stop reading everything else and read this book! YEP. 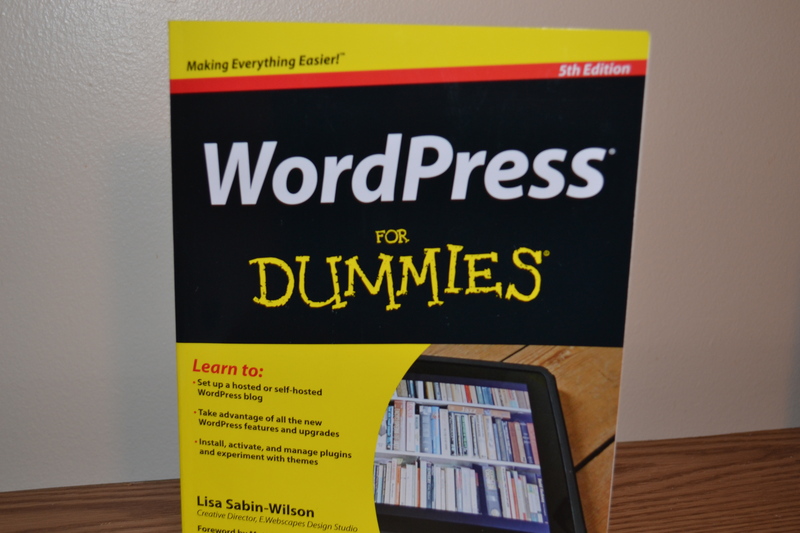 WordPress for Dummies. I have started it numerous times, thumbed through different chapters, but never really read it because from what I could see, all of the fun stuff can only be done when you use wordpress.org. So I would just read it when I switched to that. I should have read it when I got the book! I will be reading it and doing some improvements this weekend, and hopefully moving everything over to the wordpress.org system.